One of the greatest joys of motherhood is reaching the milestones. I remember when Rhian started to walked for the first time, I got teary eyes. Now another milestone recorded last March 22 when ChingChing peed in her potty at the age of 26 months and that was about 2 weeks of potty training. I wanted to take a picture of her perfect posture at the potty seater and post my pride to every social media outlet I subscribe to, but decided not to do that instead I just enjoy that moment. Now, I’m proud and happy to say that our 2-year old Ate Rhian is diaper free during day time. Yehey! I taught this is harder than getting her to sleep at night but I was wrong, Rhian is such a fast learner. So if you are asking on how we train our daughter, I will share how we do it in just 2 weeks. Yes 2 weeks lang. Hihi. But mommies and daddies, it’s important that your little one is showing signs of readiness before you begin potty training because this will make everyone else’s lives easier and happier. 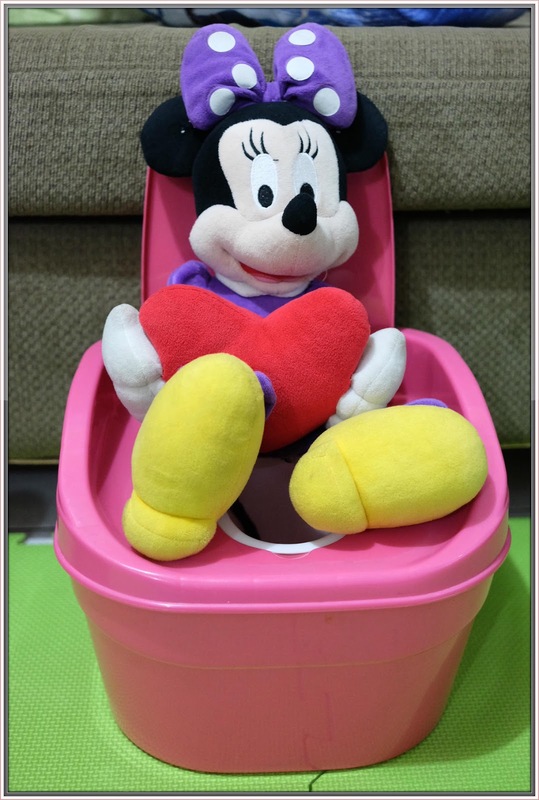 Teaching your child how to use the potty requires time and lots of patience on your part plus a cooperation and motivation of your child is so important. So this is how we train our daughter. I let her watch and learn. Yes! 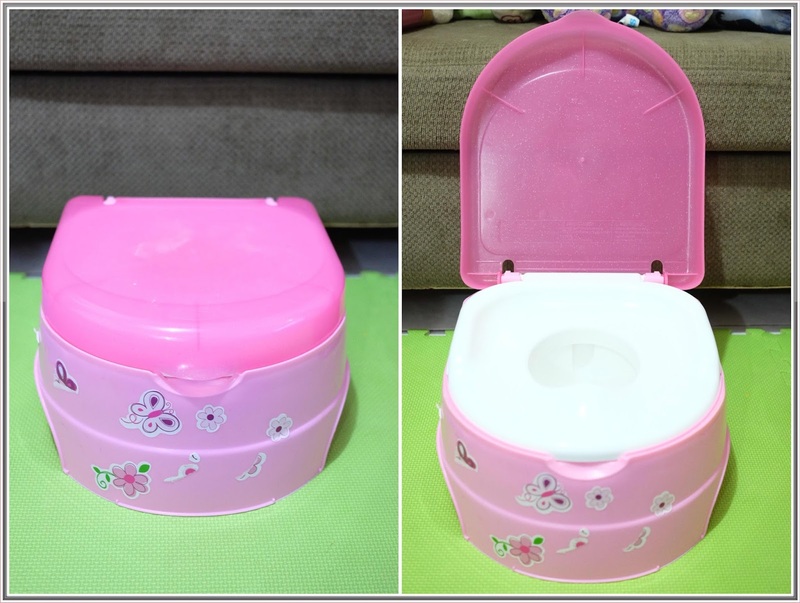 I myself use potty in our room, tinatamad na kasi akong bumaba para mag pee, so I have my own potty seat. Toddlers learn by imitation and watching me using the potty seater is a natural first step. I always tell Rhian that if she feels uncomfortable (referring to her vaginal area), she will say “Wee-Wee”. I don’t force her to remove her underwear, so what I did was even though she wears diaper, I remind her to say “wee wee”. Rhian wears cloth diaper ever since, I have 8 pcs of baby leaf cloth diaper and now I’m thinking to dispose it soon, bukod sa super gamit na gamit ni Rhian yun, hindi na rin magkasya sa kanya lahat. Waahhh.. So the next step we did was shopping for underwear. 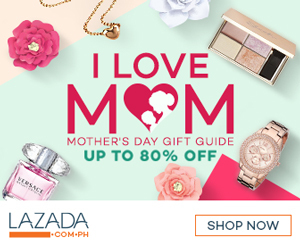 Of course she needs it especially during day time since she will not use the cloth diaper anymore and because of that we bought 1 dozen of new underwear for Rhian. Yay! Even before we decided to train our panganay, I told my husband and tita to be ready for a big mess since we are currently helping Rhian to get her to sit on the potty and for sure it will take time for her to familiarize with the procedure. So minsan during our potty training, naaabutan si Rhian na mag pee sa puzzle mat, then after that tska palang nya sasabihin na “Wee Wee”. Well, Patience is a virtue. We are not rushing her naman to complete the training agad agad. Next, what we did was the imaginary play. 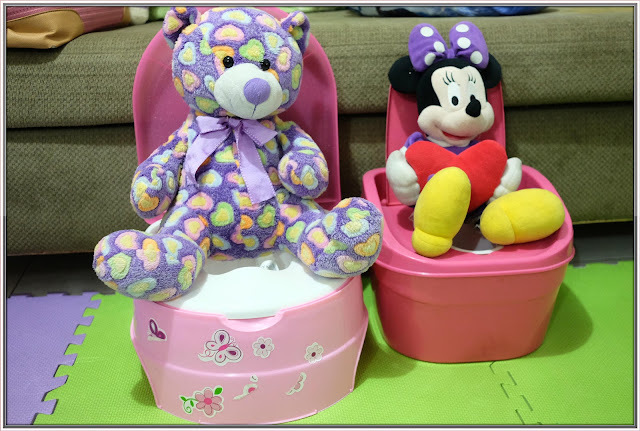 Using another potty seater and her stuff toys, we try using it for potty demonstrations. Actually, toddlers really enjoy watching their favorite toy go in motion. I let her dolls and teddies get involved in the potty training. Like what I said before mas gusto nila na may ginagayahan para mas madali silang matuto. We used her favorite stuff toys (Mickey Mouse, Minnie Mouse, Violet and Lassy) and we got surprised nung umupo rin sya sa potty seater nya. Galing! 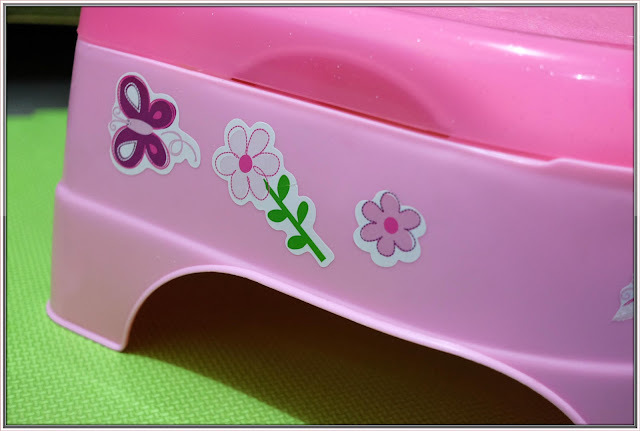 Oh before I forgot, we personalize her potty seater before using it. It was actually a gift from her Ninang Roan during her 1st birthday. I let her put the stickers around the seater and let her familiarize it. After she’s practiced this way for a week, I try her to pull down her undies and let her sit down in the potty. Then I explain to her that if she feels na lalabas na ang wee-wee, let it go. Actually, tinatawag ko pa nga yung wee-wee nya eh, you know that sound? Weeweeeweeweeewee.. We waited for about 3-5 minutes and tadan! She already peed in the potty seater. Yehey! I also remind her to wipe her private part from front to back to prevent any infection. This is the most important part, I keep her motivated all the time. I explain to her that she’s growing up na and big girl na sya kaya dapat no more diaper pag nasa bahay and so far, good job to us at mag one month na kaming less diaper use, sa gabi nalang and pag naalis nalang kami but during day time, undies na sya. I also make the potty fun and relaxing, no pressure at all and with that I observed Rhian that she is responsible na when it comes to peeing. As much as I rave about how wonderful she is, there was no advance in learning the potty. For me, It was simply a matter of perfect timing. So this is my advise, don’t worry if your little one seems to be taking longer to master the potty, because in her own time he/she will get there, just be patient and support her though their potty training journey and remember this, regardless of gender, it’s important to start potty training when your child is showing signs of readiness or truly able to do so.